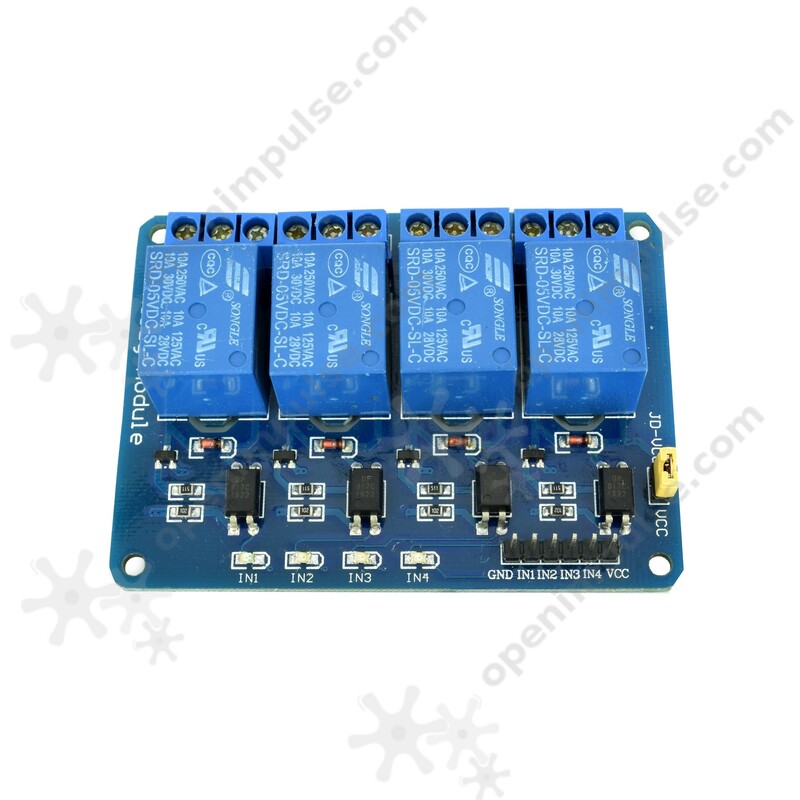 This optoisolated 4 relay module is useful for controlling several devices operating at high voltages appliances making it ideal for home automation and for your projects. 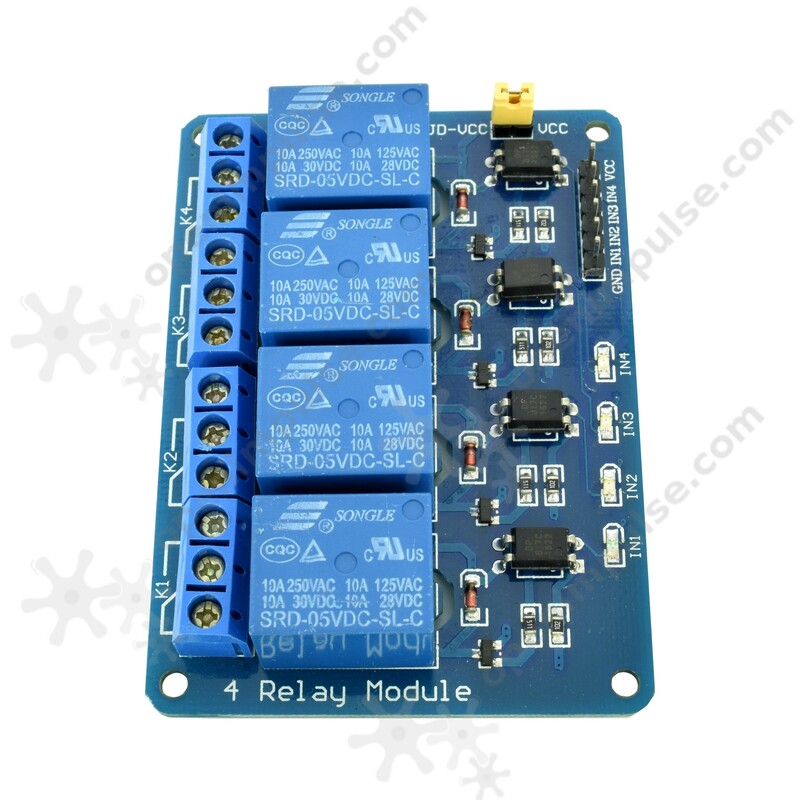 This optoisolated 4 relay module is useful for controlling several devices operating at high voltages appliances making it ideal for home automation and for your projects. 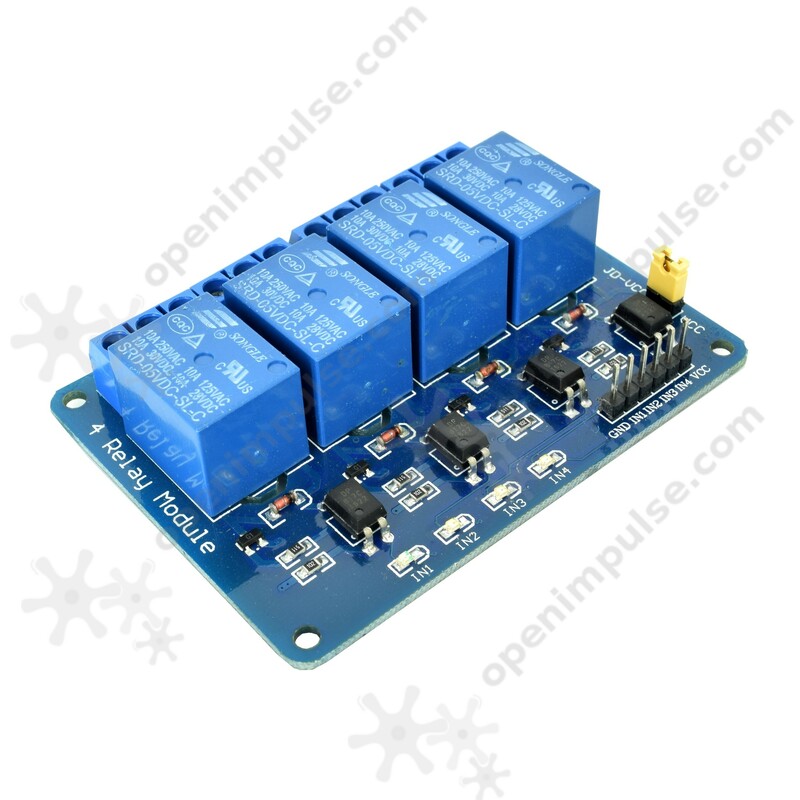 It can control various appliances remotely via Internet or bluetooth using an Arduino development board and necessary shield.